Discover the beautiful countryside of the Dominican Republic during this safari tour from Punta Cana. 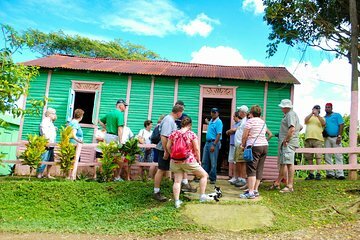 Explore the mountains, sugar cane fields, and coffee and cacao plantations to learn more about everyday life on the island. Enjoy tastings of chocolate, coffee, fruits, and local drinks throughout the tour and immerse yourself in the culture of the Dominican Republic.